Uniform prefix of phone and fax numbers is ++49 761 270-xxxxx. 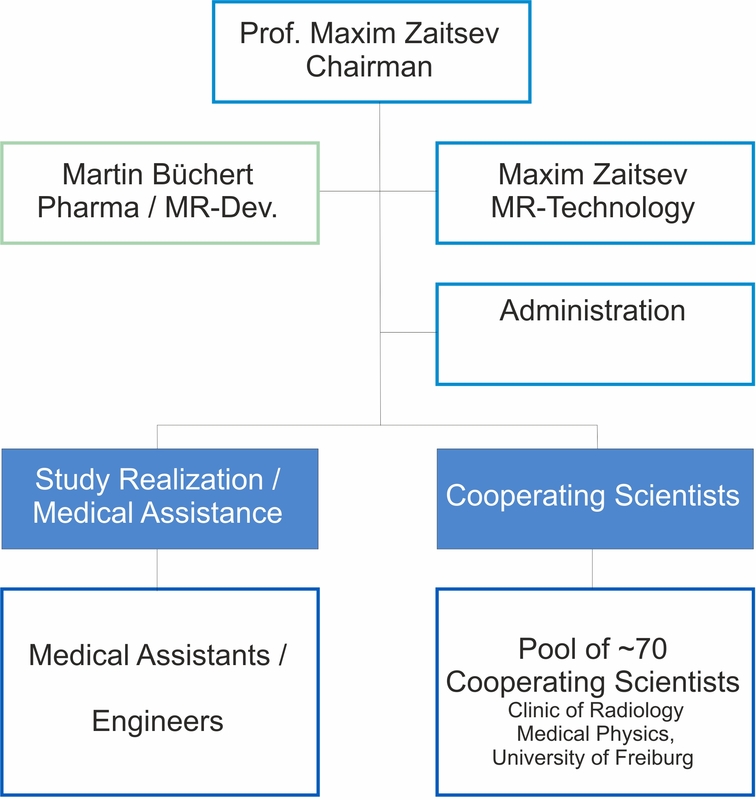 The core team is supported by developers and cooperating scientists of the Clinic of Radiology, Medical Physics including physicists, chemists, engineers of various areas of expertise, and IT specialists. All of these scientists have many years of experience in interdisciplinary projects in the field of MR and in conducting cooperations with radiological and industrial partners. The interdisciplinary nature of our team guarantees completion of your needs with high expertise and in top quality.